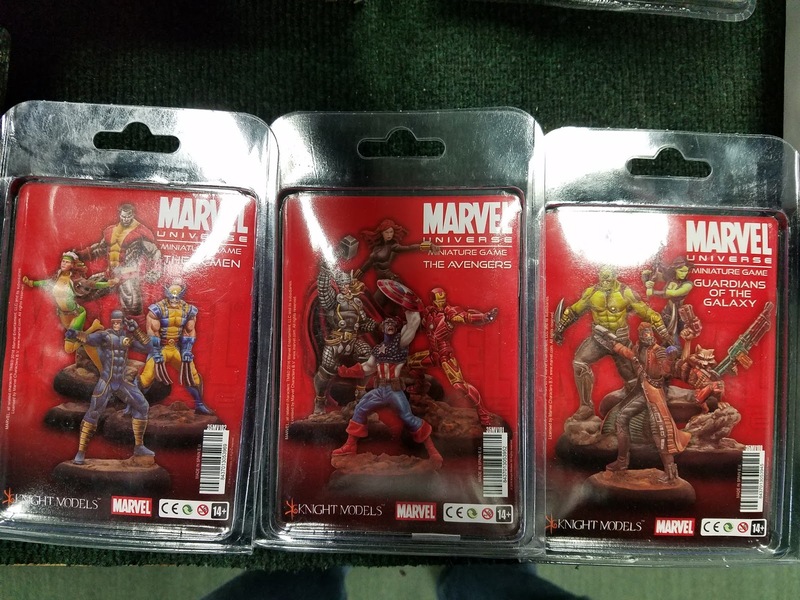 This week Knight Models released its first run of Marvel Universe Miniature Game. As this game involves superheroes, I rushed to check it out. Actually, as a nerd dad, I had to ask my wife’s permission to get it. After a lengthy bargaining process, I rushed out to get the game. Because I’m a nerd dad, I plan to play the game is a day or so as the models that come in the started are not painted and need to be assembled. I did however read the rulebook and look over the figures and their associated cards. Here are my first impressions for Knight Models’ Marvel game from those observations. The figure sculpts are well done and are free of the unnecessary flash you see on inferior models. 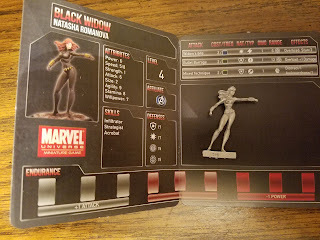 Details like the individual plates of Thor’s armor or the disks in Black Widow’s belt confirm the quality of the models is impressive. 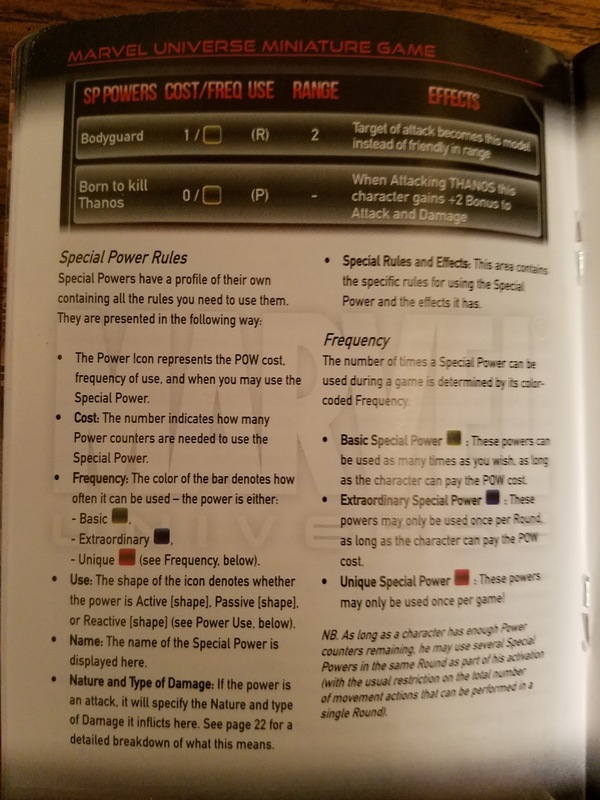 The rulebook looked to be well edited and concise. I liked the format of the rulebook. As far as the rules go, the use of colors, symbols, keywords as well as numbered stats allow for thought-provoking ways to bring a superhero to life. 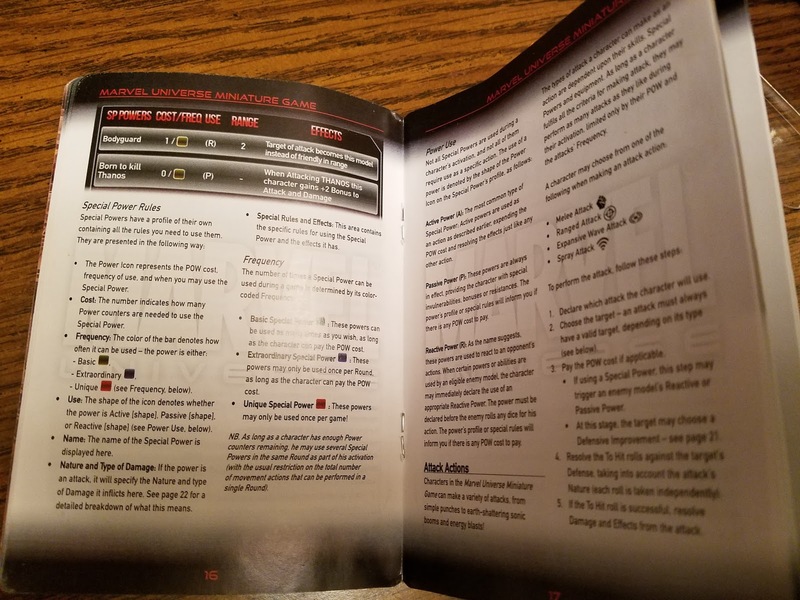 The folding character cards hold a lot of information and give an interesting take on keeping track of your character. 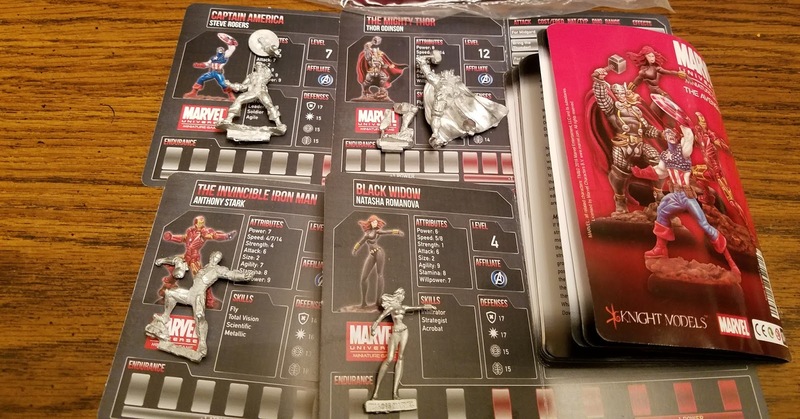 The price-point of $55 - $60 dollars is acceptable for 4 figures, 4 character stat cards, and a rulebook. You can customize your battlefield scenery with ready-made objects or make your own. 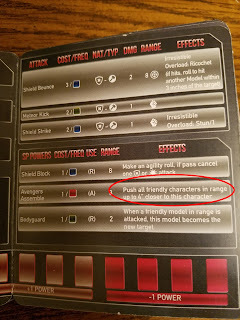 It’s nice to have a miniature rulebook with a miniature game, but the small print made it hard to read. There were several times I had to read a section twice. The character card uses a color scheme that might be hard to read. I was planning to purchase a DEADPOOL and a BLACK PANTHER figure along with the Avengers starter, but the $25 price tag for a single figure made me reconsider. This first run only included hero figures. There aren’t any villains to purchase. Scenery is an added expense. The game seems similar to Warhammer or Hordes. What are your thoughts? 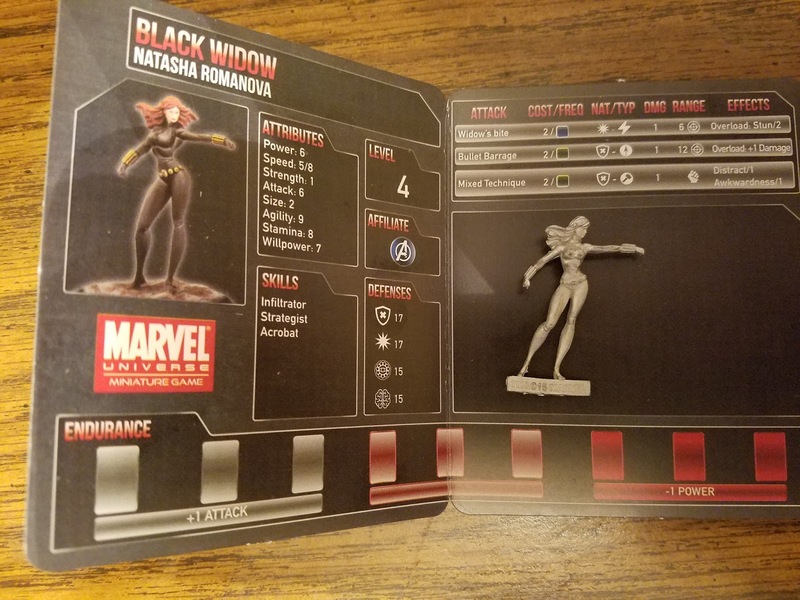 Are you enthusiastic about a new tabletop version of superhero warfare? Leave a comment. Watch for my upcoming full review of the game.